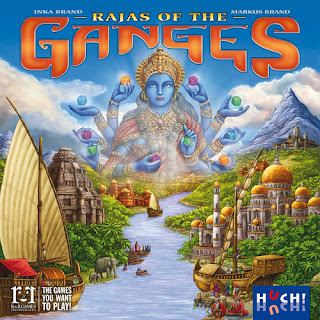 Rajas Of The Ganges is a worker- placement game for 2 to 4 players. 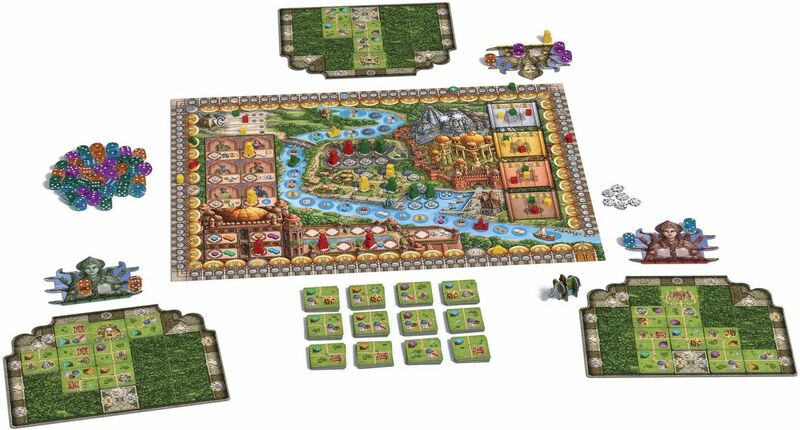 Set in 16th century India, players take on the role of the country's influential nobles the rajas and ranis. Players compete to develop and expand their estates as their power and influence grows. 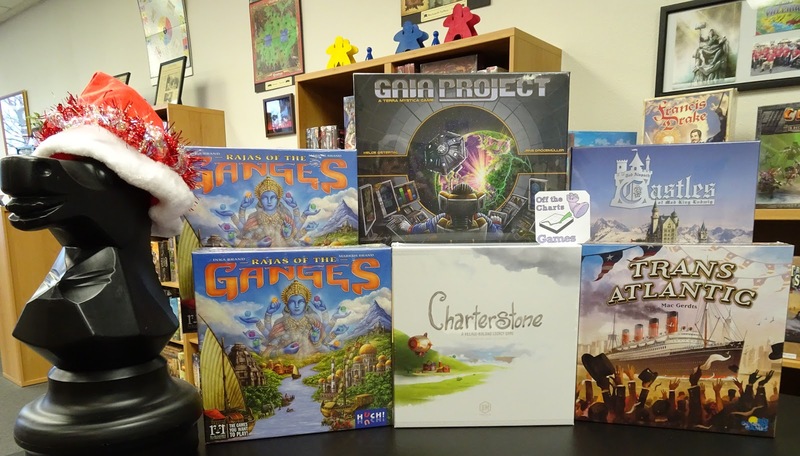 Dice play the part of resources in this worker-placement game where you must balance your rise on the dual paths of fame and riches. But never underestimate the power of good karma! 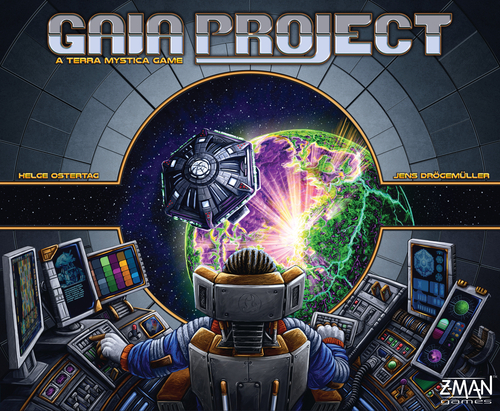 New in from Z-Man Games is Gaia Project a stand-alone successor to Terra Mystica. 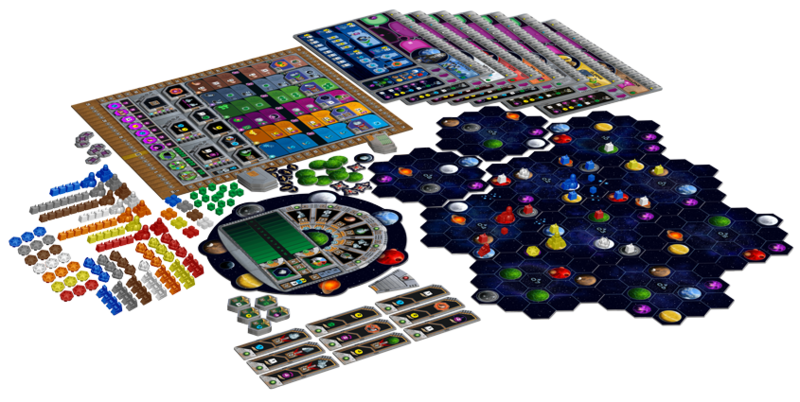 In Gaia Project where luck plays no part, one to four players will colonize the Terra Mystica galaxy as one of 14 unique factions. Upgrade your structures, gain resources, and progress in six different research areas to accelerate your galactic expansion. 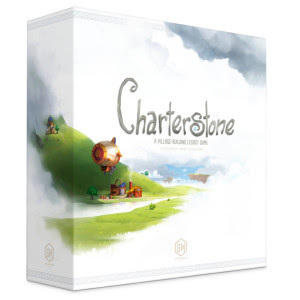 Charterstone is a competitive legacy game for 1 to 6 players. You construct buildings and inhabit a shared village. Building stickers are removed from cards and permanently added to your charter on the board, becoming action spaces for any player to use. Thus, a few available buildings soon grow into a bustling village with dozens of actions. 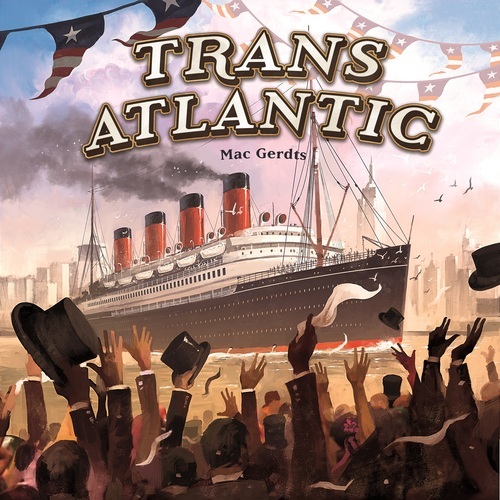 TransAtlantic is the newest strategy game from designer Mac Gerdts (Concordia, Navagador, Imperial). Featuring 50 historic ships, TransAtlantic revives the golden era of ocean liners at the turn of the 20th century. Build yourself a thriving shipping fleet and guide it to economic prosperity. Acquire the most modern steamships on the market and take over the shipping routes of your competitors. Make use of diverse options to carry out lucrative transports and win the Blue Riband of the North Atlantic. Build an extensive network of trading posts and coal bunkers to expand the capabilities of your fleet. Epic Spell Wars is back with Melee at Murdershroom Marsh! 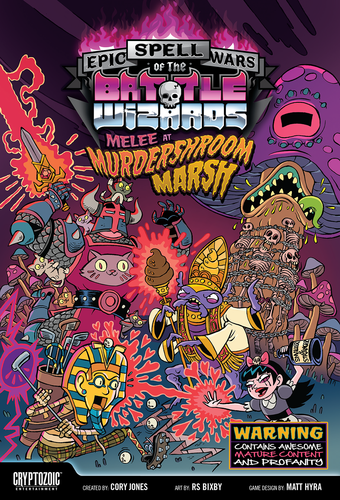 Fully compatible with the previous releases, or played standalone, this latest set has all new mayhem and explosions to scratch that spell-building itch. Features two new keywords: Cantrip and Bad Trip. Cantrips are spells that can be played out of your hand at the cost of discarding other cards. Great for when you hand is jammed with too many cards of one type. Bad Trip is all about the colors, man. If your spell contains three or more different glyphs, a Bad Trip card resolves twice! You can get that pretty easily as half of the Delivery Spells are Dual Glyphed. Boom! See, explosions. The other half of the Deliveries are Creatures. Yes, they are back! 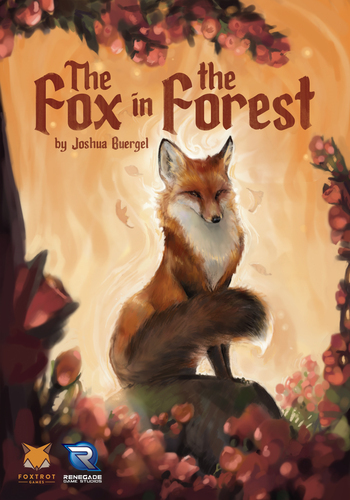 The Fox in the Forest is a 2-player trick-taking game. Utilize the special abilities on the Fairy Tale characters to change the trump suit, lead even after you lose a trick, and more. The beautiful illustrations of the unique characters will help you quickly analyze your options.